(Bloomberg) – Nigerian President Muhammadu Buhari has an unusual new campaign pitch: he isn’t dead. In a Facebook post on Sunday following a meeting with Nigerians in Poland, Buhari said he’d been asked whether it really was him speaking to the group or a clone, given speculation he’d died last year when he was absent from the country on medical leave. 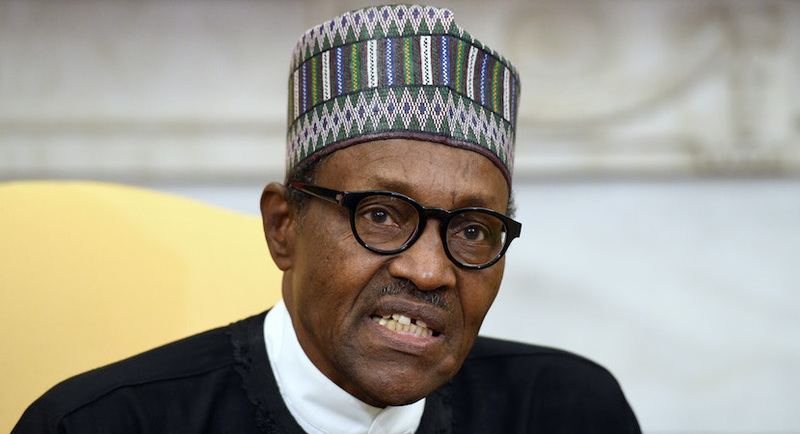 Buhari, who turns 76 this month, has been dogged by questions about his health since spending more than five months in the UK being treated for an undisclosed illness last year. He faces re-election in February amid growing divisions within his own party and a challenge from Atiku Abubakar, a 72-year-old businessman and former vice president who’s promising an economic revival for Africa’s biggest oil producer. A separatist group, the Indigenous People of Biafra, or IPOB, has taken advantage of Buhari’s health issues to peddle a conspiracy theory that he died in London and was replaced by a look-alike from Sudan named Jubril. Nnamdi Kanu, the leader of the group campaigning for an independent Biafra in the country’s southeast, was arrested and charged with treason by Buhari’s government in 2016. But while free on bail, Kanu’s residence was raided by the military in an operation that left several people dead. Kanu escaped the country and reappeared in Israel in October, according to his lawyer. He’s since been broadcasting his claims about Buhari’s alleged double via Facebook, helping to feed a social media frenzy back home. “When I was away on medical vacation last year, a lot of people hoped I was dead,” Buhari said in his Facebook video on Sunday. He said his vice president had been contacted at the time by people assuming he was moving into the president’s job and offering their services as deputy. Buhari’s challenger for the presidency, Abubakar, has sought to take advantage of the incumbent’s seeming aloofness. He’s challenged Buhari to a televised debate and beat him in responding to attacks by Islamist insurgents, offering scholarships to the children of killed soldiers before the government extended official condolences. Analysts have mixed views on which way the Nigerian electorate will lean. If a free and fair election were held now, New York-based risk adviser Teneo projects that the challenger Abubakar would win 57% of the vote to Buhari’s 42%, with about 1% going to other candidates. But the situation could change to the favour of either candidate, Teneo Vice President Malte Liewerscheidt said in an emailed note to clients. Eurasia Group, on the contrary, sees a Buhari victory with 55% of the vote against Abubakar’s 45%, citing the incumbent’s relative trustworthiness when compared to Abubakar. Nigeria is Africa’s most populous nation, with almost 200m inhabitants, and vying with South Africa to be the continent’s largest economy. Buhari has made himself more visible in the run-up to February’s election, with recent appearances in Maiduguri, where the government has been fighting Boko Haram Islamist militants, as well as in Poland and Paris.